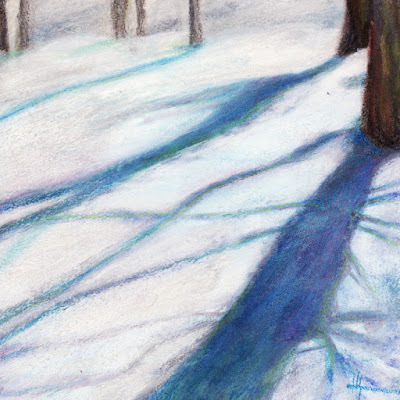 diana lynn's painting a day: Snow Shadows. I tried something new on this painting by using layers of acrylic paint (10 - 12) and then many more layers of pastels. I think the many layers added a richness to the colors of the shadows. I do love me some snow shadows, yes I do.